The Trail Blazers outscored the Warriors, 35-12 in the 4th quarter (including a 19-4 run to close the game) to earn a 129-107 victory tonight in Portland. Damian Lillard led the Trail Blazers with 29 points (9-15 FG) and 8 assists, while Jake Layman totaled 17 points (12 in the 4th quarter) in the victory. Seven different Trail Blazers finished with double-figure point totals. 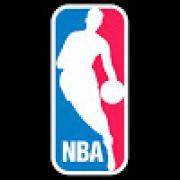 Kevin Durant (3 blocks) and Stephen Curry (7 rebounds) led the Warriors with 32 points apiece in the losing effort. With the win, the Trail Blazers improve to 34-23, while the Warriors fall to 41-16 on the season. Trail Blazers and Warriors Combine for Record 37 Three-Pointers! 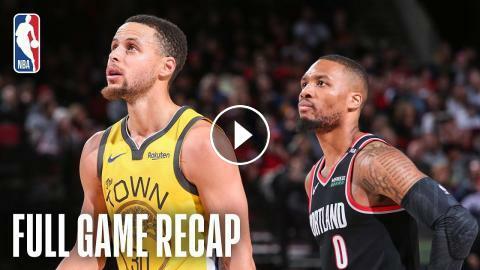 Full Game Recap: Trail Blazers VS Warriors | Portland Wins OT Thriller!